For more than 250 years the music of Johann Sebastian Bach (1685-1750) has given inspiration to millions of people and his larger-than-life image has been the center of quasi-religious adoration from musicians around the world. The opening program of the season is intended to share the greatness of Bach by presenting his complete Motets in a new light. In addition to the Motets (BWV 225-230) you will be invited to experience what could arguably be one of the greatest pieces ever written by a teenager (Felix Mendelssohn wrote his Octet for strings in E flat major at the age of fifteen). 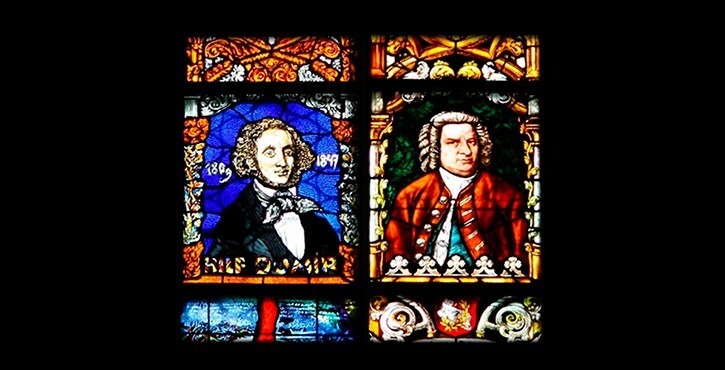 In addition to his legendary precocious gifts, Mendelssohn (1809-1847) is also credited with “resurrecting” the music of J. S. Bach.